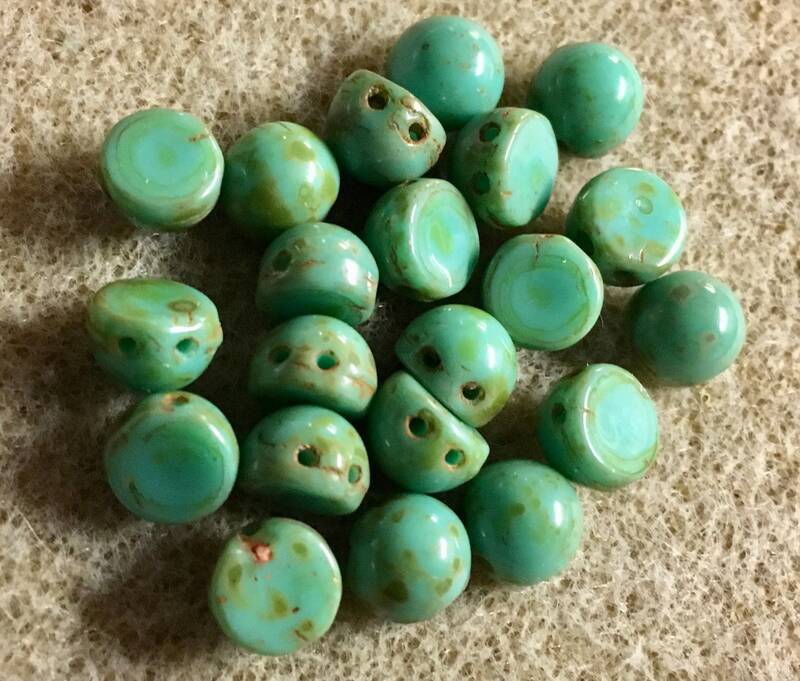 Opaque Turquoise Picasso CzechMates 7mm cabochon two hole glass beads. These beads feature 2 holes and are a round dome shape with a flat bottom. They work well with all styles of CzechMates beads as well as with other two hole beads, seed beads and more.